John Barrowman and his long term partner Scott Gill got hitched today in the state of California today. 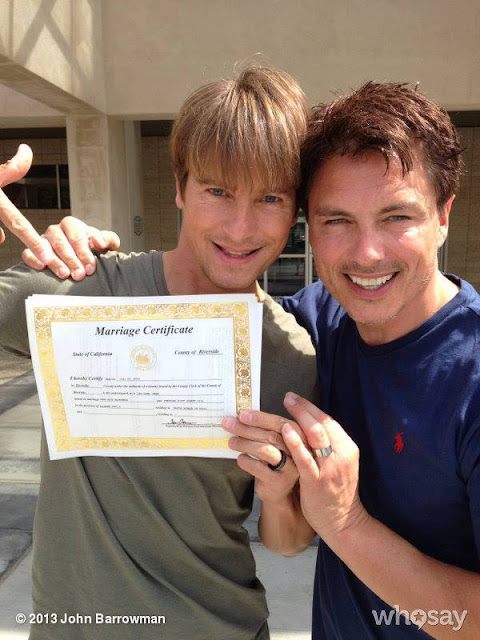 The Doctor Who and Arrow star announced the news by posting a video and a photograph of themselves with their marriage certificate. Awwww ain't they adorable! Congratulations to the happy couple!! !